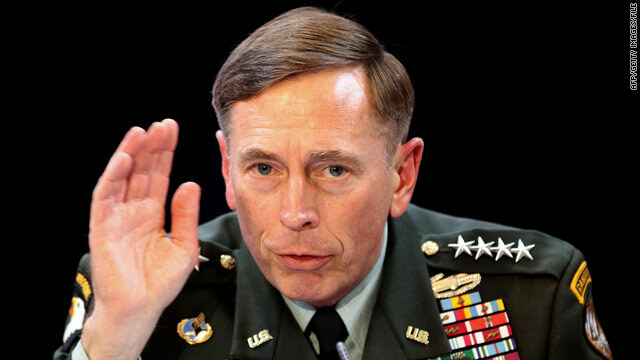 CNN's Barbara Starr sits down with ISAF Commander Gen. David Petraeus to discuss Afghanistan. 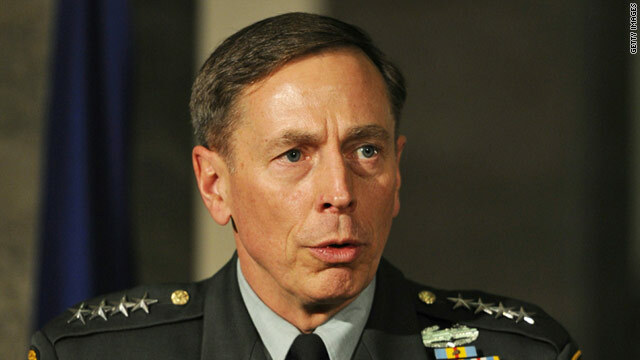 Afghanistan President Hamid Karzai and Gen. David Petraeus, commander of U.S. and NATO troops in Afghanistan, have met in an effort to ease tensions after the president criticized foreign forces operations in his country, a Pentagon spokesman said Thursday. The two met Wednesday in Afghanistan, according to Pentagon spokesman Geoff Morrell. Morrell said the meeting between the two ended with "no daylight between them." But a senior coalition official told CNN Pentagon Correspondent Barbara Starr that Karzai still "has reservations." Even with serious questions about President Hamid Karzai's commitment to the military strategy in Afghanistan, NATO members plan to announce an enduring presence there beyond 2014, the new target date for handing off security control to the Afghans. year on a phased, conditions-based timeline, NATO officials told CNN. An Afghan government official worked Tuesday to publicly smooth over tensions created when President Hamid Karzai spoke extensively about reducing U.S. military operations and the number of American forces in Afghanistan. On Tuesday, Karzai spokesman Wahid Omer acknowledged an effort to ease tensions following a Karzai interview published Sunday in The Washington Post. In what may be one of the most significant breaches between Afghan President Hamid Karzai and the Obama administration, Gen. David Petraeus personally warned Afghan officials over the weekend the U.S.-Afghan partnership could be "untenable" if Karzai wants U.S. troops out of Afghanistan prematurely. A senior coalition military official confirmed details of what Petraeus said, but asked not to be identified so he could speak more candidly. 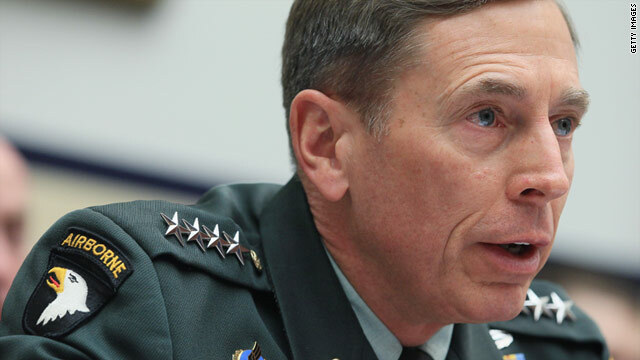 Petraeus made the statements Sunday in a meeting with Ashraf Ghani, the Afghan official in charge of planning the efforts to handle transition from coalition to Afghan control. A planned Sunday meeting with Karzai was rescheduled, but officials insisted it was not canceled due to the tensions. KABUL, AFGHANISTAN (CNN) - While President Barack Obama and the military talk about transferring territory to the Afghans next summer, in many places across Afghanistan, largely out of public view, the handover of security, from U.S. to Afghan forces, has already begun on a small scale. In the last several days, U.S. Marines in southern Afghanistan have handed over two small outposts to Afghan forces in the district of Nawa, a place which once saw heavy fighting, a senior ISAF official confirms to CNN. Across the country, several small outposts have either been turned over to the Afghans, or U.S. troops have pulled out of areas because Afghan control is sufficient the official said. These moves are in advance of the broader turnover of entire provinces, districts and sub-districts to Afghan control that is expected to begin in 2011. However, coming just days before the mid-November NATO summit in Lisbon, Portugal, these minor moves will give the alliance, and the Obama administration, the ability to announce that transition on some scale has begun. NATO forces killed a senior militant leader of a Taliban-linked group during a weekend operation in eastern Afghanistan, a military statement said Thursday. "Haqqani network senior leader, Hibati, was killed during an overnight operation in Paktiya province Saturday," NATO said. The death brings the total number of Haqqani network leaders killed to five. The network is part of the Afghan Taliban. The operation in a remote compound in Dzadran district was based on intelligence tips. "Intelligence reports later confirmed the death of the five Haqqani leaders as well as several additional Haqqani fighters," the statement said. "It is assessed the security force had broken up a Haqqani leadership meeting." The operation is part of a series of attacks on militants in the nation by U.S. Army Gen. David Petraeus. During a two-week period in early October, coalition forces battled groups of fighters from the Haqqani network crossing into Afghanistan from Pakistan.The groups were attempting to attack coalition and Afghan bases in the border region. More than 120 Haqqani fighters were killed.